We make custom 100% silicone wristbands and terry cloth wristbands. Perfect for teams, promotional, giveaways, and fitness company who want custom branded wristbands and headbands. We offer custom wristband and headband solutions for any creative need. Genuine 100% silicone. Offering Debossed, Colorfilled, Screen-printed, Embossed, Rhinestone studded, Glow, Reflective and more. 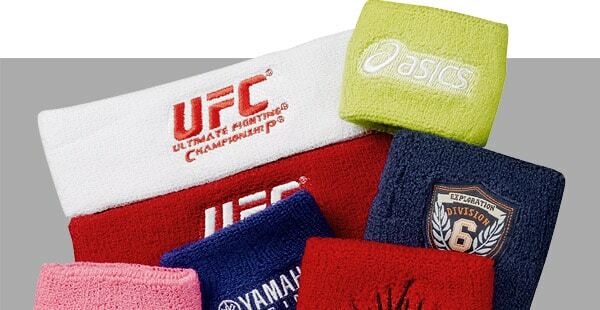 Soft Terry Cloth Wristbands and Headbands are everlasting and used by Athletes, Sports Enthusiasts, Promotional use and more! Let Dr. Patch keep you up-to-date on our new processes, specials, upcoming tradeshows, and more! Simply leave your name an email and we will keep you on the loop!